I LOVE YOUR BLOG!!! Thank you so much for visiting mine and I will def be a frequent visitor. Thank you. Gorgeous look!!! Love your dress!!! El vestido y los zapatos,muy estoloso!. I love the coat!! I am following you. I hope you do the same. the coat and the shoes are so fierce! i love this outfit..! so cute!!! thanks for your lovely comment...! let's following if you like! omg those shoes are AMAZING!!! and sorry the handle on your bag got messed up! i had that happen to me. once it is fixed it will look gr8!! Oh and lucky you with those amazing beauty samples! I love tour blog, You are very pretty. I am delighted with your bag. i'm in love with your new shoes too. i'm sorry about your bag handle. i'm glad you showed your outfit with & without the coat. that is one terrific dress. happy halloween vale! You look great, congratulations on your outfits. Great pictures, I like the dress - the print is very interesting! Lovely outfit dear :) I just love your bag and your shoes!! oh that coat is so beautiful and i adore that bog! i love you new boots too, they are fabulous! and your bag.. well, it's easier to say i love every piece of your outfit! the coat and the bag gorgeous! I love your Miu Miu bag!! love your patterned dress and shoes! fantastic! I loved your blog and I'm follow you! Your look are super stylish. 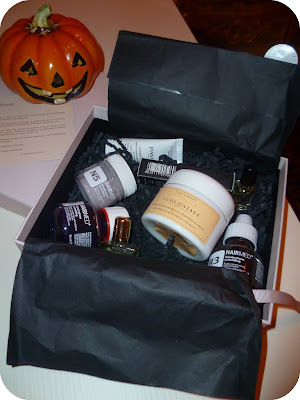 I want to test the glossybox .. is amazing! i like so much your bag! it's wonderful! Awwwwwww your blog is sooooo cute! Awesome post! I wish I had free samples to test out :) I am selling some things though, && I think you and your followers might be interested. Stop by. Thanks! OMG I'm in love with your outfit and especially with your shoes, where did you buy them? Loving this Blog, thank u so much for visiting mine !! The shoes are AMAZING !! Kisses from Venezuela !! you have the most amazing pieces! I love your boots and that gorgeous coat! what a cute bag and dress - I am just like you - I never put my bag on the floor - I dont care if I have to hold it on my lap the entiere time - but I recently got a gift from a friend - its a purse hook/hanger. its wonderful. Heyyyy thanks so much for the comment on my blog...and sure I'd love if we followed each other...I jst followed you. I'll be waiting. i like everything you wear. perfect! I'm sorry to hear about your bag! Sometimes, despite our best efforts, these things happen! Certo che si possiamo seguire! ;)Ti aspetto! Bel blog! Absolutely wonderful shoes, I love them!!! Your outfit looks awesome! And these shoes? Like WOW! Love these shoes! Che belle quelle scarpe!!! 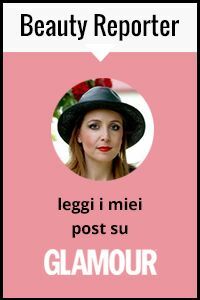 Sei sul mio blog oggi! I love your boots, so chic. Great shoes! Beautiful dress too! Kisses! I am dying for those shoes! And the dress is amazing!!!! Chic outfit! Those booties are gorgeous!! Me gusta mucho tu blog, te sigo !! this outfit is so gorgeous! you look fantastic! love your chloe shoes. so adorable! Very nice look, I love your boots. I love your look, lovely coat. Kisses. che peccato per la tua borsa,purtroppo ogni tanto succedeno questi inconvenienti! ke invidia quelle scatole!! The name of your blog is lovely! and your style! I love those boots Chloé! GlossyBox box and I also have asked, I am looking forward to my house! I really like your blog, so here of course I follow! The name of your blog and your style is adorable and also, I love those boots Chloé! GlossyBox box and I also have asked, I am looking forward to my house! in queste foto sei davvero chic, complimenti! At first I thought it was all dark, but then I saw your dress and I'm loving it!!! The print and colors are amazing. I love your blog. Thank you so much for the comment on my post today! I will definitely be your newest follower! I LOVE those shoes!! Darling!! your shoes and bag are amazing!! this outfit is sooo cool! I love every single piece! p.s. great blog you have, of course I'm following! Would be honored if you'd follow me back! By the way, I'm jealous of your sample collection, I'd love to have so many of them. 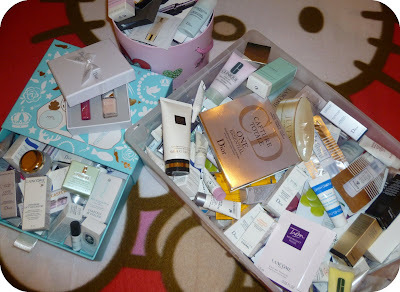 Wow... What a great box and samples!! Great look!!! Love your bag! Lovely outfit. The shoes are just awesome ! I can absolutely understand why do you love those wedges since I'm in love with that perfect pair of shoes too :) and I do like your whole outfit. it's a beautiful choice of classy clothes! In case of make-up when i hear Italy - i think of Kiko Make Up Milano, it is quite new here in Germany and i must say, very nice quality. ciao mi piace il tuo blog! wow! I love your bag!! Thanks for your comment! Are yoy an italian girl? My family was living in Italy!! I hope you enjoy with my blog!! Nice shoes! Those perfect-height-comfortable wedges are so in right now! Thanks for your post. I'd love to follow for follow, i'm going to bloglovin' you, can you do the same? could you look any more refined??! I love the peacoat on you..it's a classic! and does help with warmth on chilly days. That dress is beautiful Love your bag also. I really don't know what happened but I tried it again. Please let me know whether or not you see me this time. I'm following you, will you follow back? Thanks for your visit! Love your blog and I follow you now! Tanks! I do like your Shoes!! I lovee the outfit .. let's follow each other? wow your see by chloe boots are absolutely stunning. what a chic, classic winter outfit! thank you so much for the follow. hope you'll continue to enjoy reading flourished & sunkissed! I don't use bloglovin! but I'm following for the google connect! :) Always come take a look at your posts! i really like you blog ! Wow love your outfit with and without the coat!! those boots are amazing!!! p.s. are you on bloglovin? hello! thanks for your lovely coment. ı'll be following you! Thank you for your comment I love your blog I've just followed you my boxes of makeup look like yours haha...I ll find you on twitter for more contact kiss! Your style is so cute and girly =) I love black color in that elegant way! Thanks for the lovely comment on my blog dear :) You have a gorgeous blog yourself! & must I say, I am in LOVE with your Miu Miu bag! Ciao bella!love ur look, and the drees and ur chloe's shoes...very original! and about the other post...love mustard colour! im gonna buy a new boots of this one! Stunning, and I adore those Chloé boots. I'm just looking for a new black bag...and now I so much want yours!! I love the print of the dress.. ur shoes and Coat is Fab!! My photo is in blue and green colours and it shows only my face and the name is Marianna_Papag and it has the twitter simbol at the corner. Tell me if you find it, ok? P.S I noticed that we've both started blogging at the same time but you have sooo much more followers than me. I was wondering if you could give me tips on how to increase my follower list since you have such a great fan base. Would love to hear your thoughts and receive your support. And Happy Halloween for you! how was the weather in your country? Is it getting cold? Great outfit. I'm loving the shoes! Ciao! Grazie per le tue parole e per seguire il mio blog! Ovviamente vale lo stesso per me! Hi darling!, thanks for your comment!, of course i'm follow you! your blog it's amazing! love it! Hi! Thanks for your comment! my family was Italian (Bari) and Spanish, went to Argentina and I was born there. Now I live in Spain. I also lived in London, but for many years, and I remember some of the language, especially the words. I hope to know! I look forward to your new post! Cao bella! Thank you for your lovely words and visiting my blog!! Your new shoes are to die for - love them!! Your blog is lovely, yeah let´s follow each other! Thank you for inviting me here :) I'm astonished by your blog. These shoes are amazing ! And of course I'm following you. U can follow me too if u want. I hope you can fix your bag! I hope your bag's repaired now :) Thank you for leaving a comment to my blog:) I am following you already! :) GOogle friend connect! Your outfit is absolutely so beautiful. I love your coat and handbag. You look lovely. I love your bootss, so cute! !